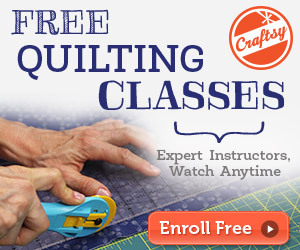 Developing the right sewing skills requires patience, time and dedication. Yet don’t forget to choose the right sewing machine. I have written a very concise sewing machine buying guide last year, you may want to check it first and go back to this post later. I decided to write a kind of continuation to that post as an online friend of mine was asking me some tips on how to find a fab sewing machine that won’t break the bank. Some seamstress start out getting the biggest and most expensive sewing machine on the market, yet later find out that it just isn’t suited to their sewing needs. Other people borrow sewing machines from relatives and friends when they first get started with a few craft projects, yet feel that the machines are holding them back from becoming better sewists. So how do you find the right sewing machine? Perhaps the best tip I can offer you is to take your time. Don’t just select the first machine that pops into your search whether you are looking for machines online or at your favorite fabric store. Take a moment to sit down and think about the projects that you work on now and what projects you would like to work on in the future when you expand your skills. Then jot down all the small details such as the fabrics you like, the stitches you will use the most, and the sewing speed you are comfortable with when working on projects. For example, if you are looking to sew on heavyweight fabrics like denim, it is best to find the best sewing machines for denim right at the start. Your list will allow you to decide on the functions of the sewing machine you should buy. It will also help to narrow down your search, as you may feel more comfortable with a mechanical sewing machine versus a computerized one, or you need a portable sewing machine for classes or to take to your sewing group at the local rec center. There are so many different brands of sewing machines out there: Brother, Janome, Bernina, Singer, and many others. And each machine has its stand-out functions that will appeal to people of varying sewing levels. Before purchasing a machine, try a few out. Ask friends about borrowing their machines to make a few stitches, get involved in a sewing class, and check out machines at the fabric store. Once you find several machines that you like, dig a little deeper to get information about the company. Find out what warranties they offer, how their technical support solves sewing machine problems, and see how their customer support handles complaints. You can avoid lots of problems with sewing machine companies by finding out how they help customers who have questions about their products. There are very few places where you can’t get a sewing machine. 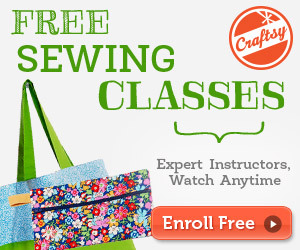 Amazon, Overstock, Walmart, and even Home Depot offers sewing machines at various prices. Comparison shopping is a must as you can pay as little as $60 to as much as $600. Just understand that the cheaper you go, the fewer functions the machine will have and the quality may be less than what you expected. Buying locally is a great idea as you can support businesses in your community and gain advice from people who are sewing experts. Yet with the Internet offering more variety, you may decide to pick up a machine at a better deal at one of the online stores. If this is the case, you still want to stop at your local shop and find out what accessories they sell that will work with your machine. There’s nothing worse than almost completing a project and running out of bobbins or breaking a needle. It is an even worse feeling when finding out that the shop doesn’t offer the right needles or bobbins that fit your machine. While you aren’t obligated to only buying machines that the shop offers, it is still a good idea to check out what items you can buy there when having a sewing emergency. Then you can plan ahead and save time by ordering enough accessories online so you can finish any project. Don’t be afraid to ask questions to friends and reputable dealers to help you find the perfect sewing machine for your skills and needs. You may locate a used sewing machine with the perfect features, the right price, and great customer support from a dealer. And with the advice they give you, you can get started enjoying your new hobby as you will create beautiful sewing crafts while enjoying the feeling of the running sewing machine under your fingertips. By the way, if you have noticed your children or the little ones have started joining you in the sewing room, you can check out a post Ive written about children’s sewing machine reviews. When I wrote that post, my two nieces who are so fascinated by sewing were into mind so definitely you can find some great first sewing machine for a beginner child in that post. I like that you talked about getting a machine fit for your needs. I know when I was beginning I needed a different machine than after years of practice. I like that mentioned asking around to friends and dealers. That is how I found my first machine. Thank you for visiting my blog Kenneth and for taking the time to comment.